Drs. Koos de Jong will do a lecture tour in USA and Canada this autumn. The occasion is his new book ‘Dragon & Horse – Saddle Rugs and Other Horse Tack from China and Beyond’ and an invitation from the American Conference of Oriental Rugs (ACOR). The tour program is organized by Cheri Hunter, Program Chairman, Textile Museum Associates of Southern California. His new book ‘Dragon & Horse. Saddle Rugs and Other Horse Tack from China and Beyond’ will also come up for discussion and he will tell about the results of further research. 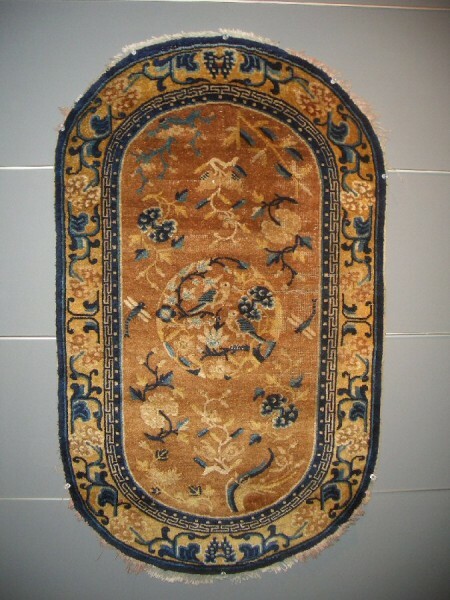 Koos de Jong’s lecture in San Francisco 18 October 2013 is a part of the program for the Antique Rug & Textile Show 17-20 October 2013. Earlier this year Koos de Jong has presented his book and held lectures in Utrecht, Hong Kong, Beijing and Baku and 20 September 2013 he will also hold a lecture at Sartirana Textile Show.